Many new, emerging technologies are coming to our faces. Some are already here, and it's hard to tell what's what. 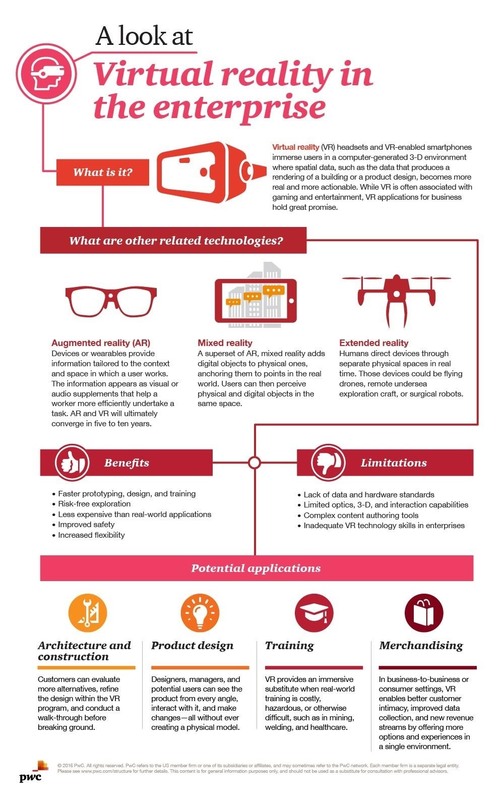 We've taken a deep dive into the three main types (virtual, augmented, and mixed reality), but if you need a quick primer, this infographic will do the trick. The folks over at PwC, a professional services company, has taken to investigating how these technologies will work in the enterprise. While the workplace may or may not be a place you want to wear one of these fancy headsets, their infographic does a good job of explaining the differences between these emerging technologies. If you want to learn more about these technologies, be sure to check out our in-depth comparison of VR, AR, and MR.